I have a pretty good track record with remembering to pick up my kids from school, but this semester, I broke my “perfect pick up” streak. I thought my daughter had biked in to school, but we went with the car. (Duh! I dropped her off at school myself!). At the end of the day, I figured she would ride her bike home, but there she was at school, waiting for me to pick her up. When I finally realized my mistake, boy, did I owe her an apology! I am so sorry I forgot to pick you up. I thought you were on your bike and of course, I was wrong. I dropped you off myself in the car! Is there anything I can do for you to make up for my mistake? I’ll try to remember to pick you up tomorrow! Will you forgive me? As we learn to apologize to our kids, a beautiful thing will occur. They will learn how to use this same language of apology when they make a mistake. That’s part of becoming emotionally mature. 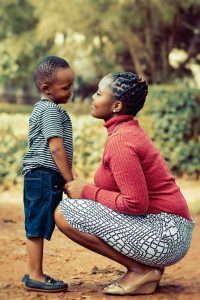 You can guide your kids (even when they are young) through these five steps of apology.